Toby Simpson was Creative Director and Executive Producer/Manager of Creatures, Creatures 2 and Creatures 3, as well as being credited for Docking Station. Prior to this he worked on Global Effect, Diggers and Diggers 2: Extractors. 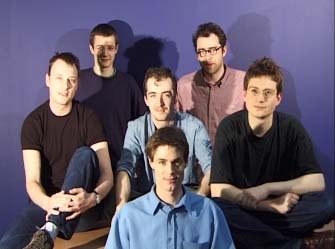 In 2001, Toby left Creatures Labs with his brother Ben Simpson to form Nicely Crafted; they were later joined by Mark Ashton and Robert Dickson. At a later point, Toby Simpson became the Chief Technology Officer at Ososim. Toby also had a regular column in the original Creatures newsletter. He used to maintain a Home for Troubled Crustaceans, but this sadly lapsed during his work on Creatures 2. This page was last modified on 20 September 2016, at 21:35.